Huntington Beach, California 92649 U.S.A.
Huan-Yi Lin’s practice focuses on patent prosecution of high value inventions, infringement/invalidity analysis and opinions, design-around studies, IP due diligence, licensing negotiations, pre-suit investigations, IPRs, and consultation. Huan-Yi has represented companies that specialize in wireless telecommunication devices, semiconductor devices and manufacturing, circuit design, flat panels (TFT-LCD & AMOLED), optical devices (LED, projectors, etc. ), consumer electronics, computer hardware and software. With 15 years IP experience, Huan-Yi brings a combined experience of patent prosecution and litigation both in-house and outside counsel to help his clients acquire and protect their IP rights. Prior to joining Chen Yoshimura LLP, he was the IP Director of a world leading touch panel company responsible for patent litigation strategies, licensing negotiations and IPRs. Before going in-house, Huan-Yi worked at top international law firms for 12 years. There, in addition to patent prosecution and licensing negotiations, he represented high-tech companies, both large and small, before district courts and ITC, including one of the largest smart phone makers in a global patent war with respect to wireless communication technologies. Huan-Yi has served as a legal intern to Honorable Randall R. Rader, formerly the chief judge of the US Court of Appeals for the Federal Circuit. In addition, he has been invited to conduct comparative research on patent law issues as a visiting scholar at the University of Tokyo, the Institute of Intellectual Property in Tokyo, and the Max Planck Institute for Intellectual Property in Munich. 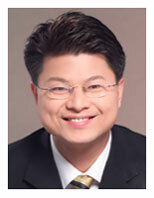 Huan-Yi is licensed to practice law both in California and Taiwan. With his academic and legal practice background across Taiwan and the U.S., Huan-Yi is also a frequent speaker of IP issues to trade associations, government and business entities, and universities.